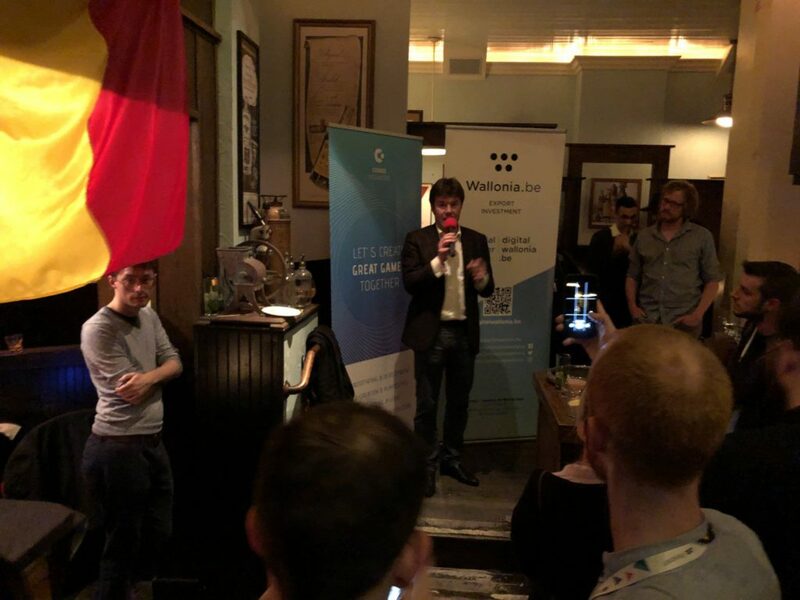 At a speech during the BelgianGamesCafe at GDC last Wednesday, Flemish Minister of Culture, Media, Youth and Brussels Sven Gatz has announced his support for a video game tax shelter. Next year, he also wants the #FlemishGamesIndustry to have a bigger foothold on the GDC show floor. The great news followed after an afternoon of touring the expo to visit Flemish exhibitors. 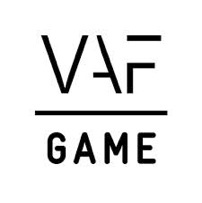 The ministerial delegation also came past the Digital Wallonia booth, which surely inspired them that a similar solution could be found for the #FlemishGamesIndustry. 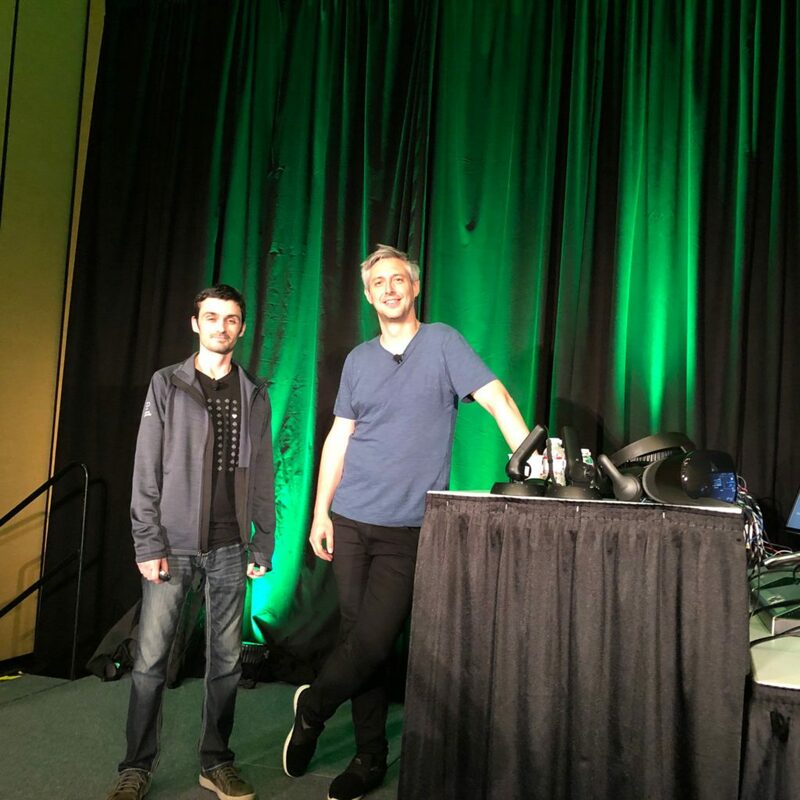 Led by FLEGA’s one and only David Verbruggen, the delegation also attended Dirk Van Welden’s Microsoft keynote about Space Pirate Trainer and the IGF awards show. The tour was captured by a crew of VRTNWS, which resulted in a nice report on the tv news, featuring Antigraviator and Graphine. 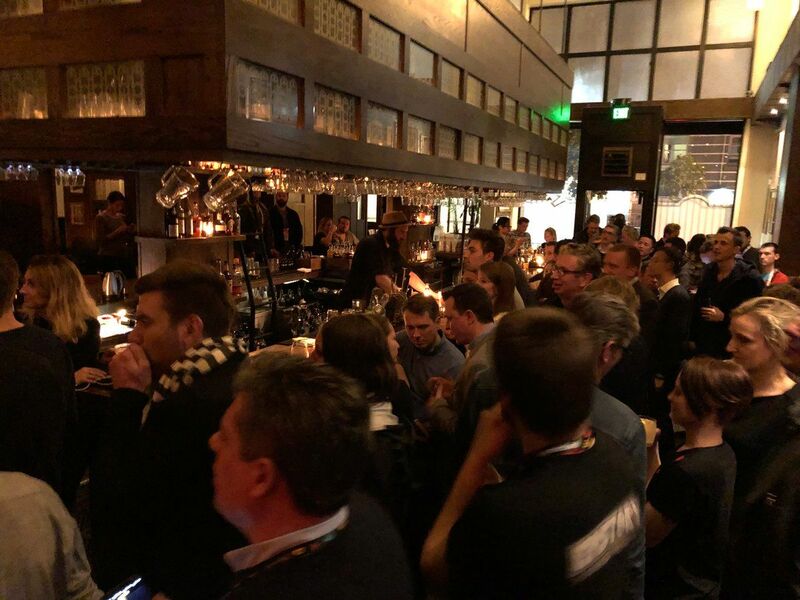 The story was picked up by Belgian newspaper De Morgen, and our friends at Flanders DC also did a comprehensive recap (link in Dutch) of the events that went down at GDC. We wrapped up the day at the Tradition bar where the both parts of our beautiful country united for some old fashioned American drinks mixed with Belgian finger food. Once again a big thanks for sponsors Cronos and Digital Wallonia to make this event the success it was.